My publisher just sent me a proof of the new cover and although they say “You can’t judge a book by it’s cover…” The truth is…I do. And I know I’m not alone. Although this is not the cover I had in mind, a whole new title, a new subtitle, and more color than I imagined…I am delighted with the sneak preview. The book may not be available until Feb. 2020, but that gives us more time to plan on OUTRAGEOUS Book release party in Sedona, Arizona. 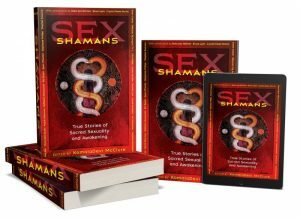 For more details check out www.SexShamans.com AND please scroll down for more juicy updates and invitations!